Holder may not have the height of former Cardinal CB/WR Richard Sherman, but there are some striking similarities. The senior cornerback is always around the football like Sherman and has eight pass deflections on the season and a forced fumble. Holder is best in press coverage but again -like Sherman- could be susceptible when forced to move his hips and keep up with quick-twitched receivers. The senior projects best at the next level as a Cover 3/ press-man cornerback. Against Washington, Holder finished with three pass deflections and seven tackles. His production and big play ability (five forced fumbles and two interceptions on the season) will grab scouts attention as we move closer to the end of the regular season. Browning may have done himself a disservice by returning to school as this season his numbers are more pedestrian, throwing 13 touchdowns to eight interceptions. 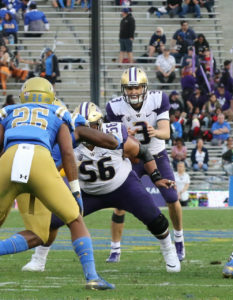 The senior quarterback was benched against California earlier in the season, and this comes just two seasons after leading the Huskies to a College Football Playoff Appearance by throwing 43 touchdowns and nine interceptions. Browning has somewhat of a herky-jerky delivery and throws the ball with little arch. 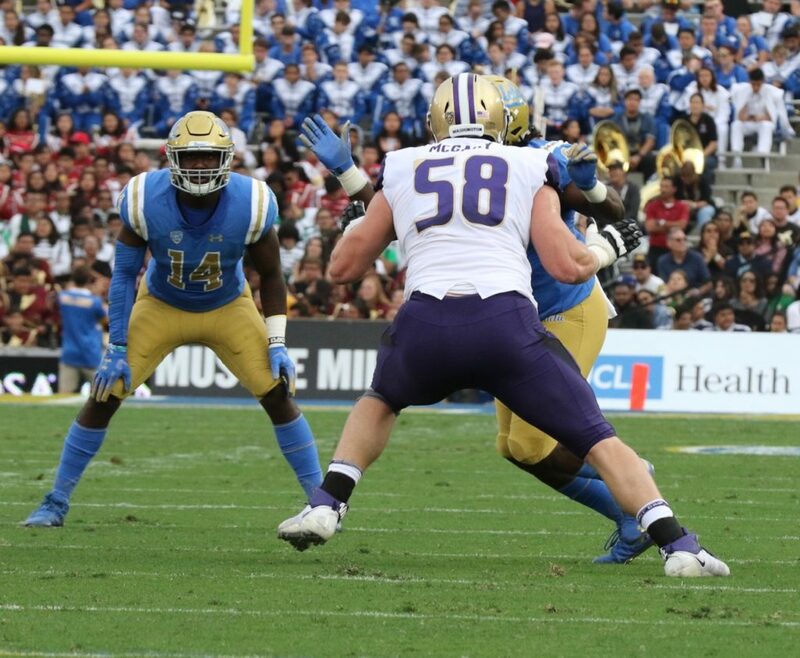 However, Browning , who grew up just two hours away from San Francisco, could be beneficial in an offense like the 49ers for example, who move the pocket and value accuracy. 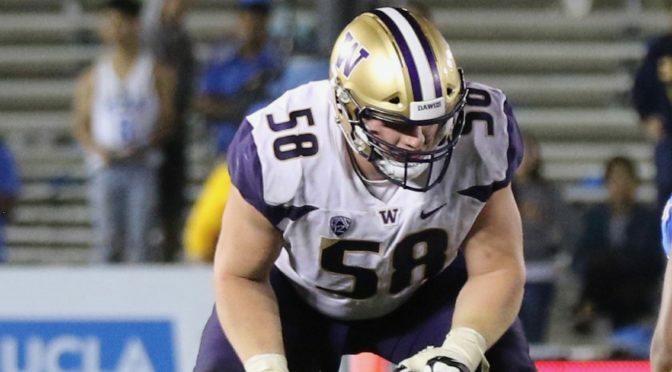 The Folsom, California native has a slight frame but he is an experienced leader with four years of experience behind center. 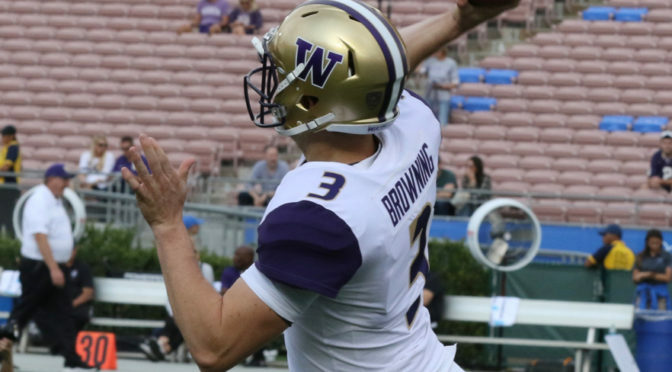 Look for Browning to be drafted in the later rounds and start his career as a backup. The first thing that jumps out about Bryce Love is his excellent vision and patience. The senior running back allowed the play to develop in front of him before cutting back and breaking a tackle to score a touchdown in the third quarter. Love, who has 490 rushing yards on the season, won’t come close to the 2,118 yards he posted a year ago. The Wake Forest, North Carolina native has dealt with an ankle injury this season and his team has been behind in a fair share of their contests, nullifying his ability out of the backfield. The production, vision and experience are there for Love, but he will have to work on his pass protection and catching ability at the next level. Against Washington, Love finished with 71 rushing yards on 18 touches.